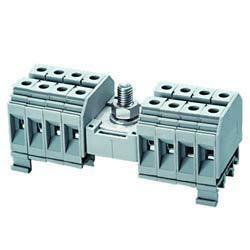 elmex Distribution Blocks are an Innovative Engineering Solution to Satisfy customers needs. They find application in Power Distribution for Control Circuits and can also be used to centralize earthing for the entire Panel. Micro Distribution Block with single input and multiple output for signal distribution purpose.